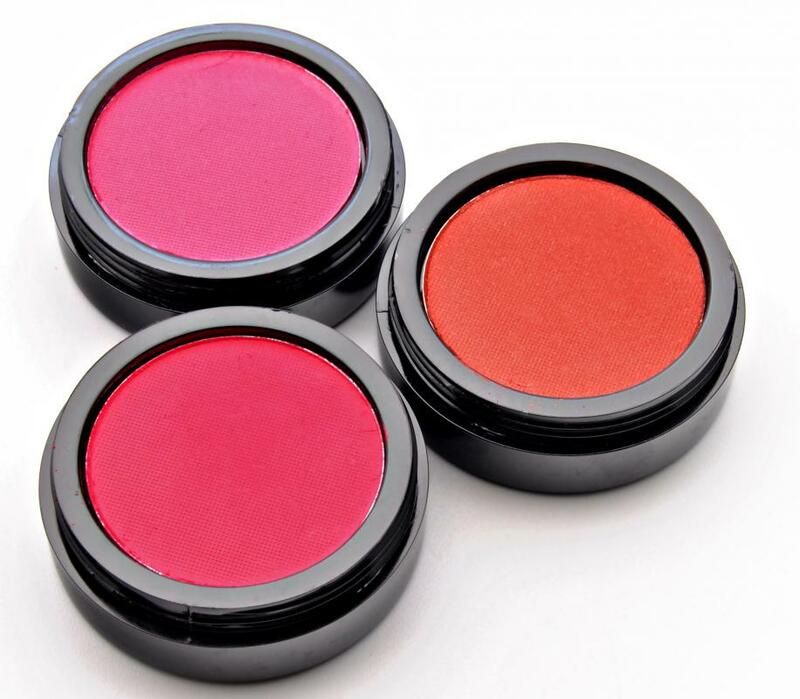 Makeup blush is available in several colors. The best blush color will complement one's skin tone and hair color. Some blush is sold in a palette, which allows users to alternate or combine colors. Those with a summer complexion should invest in blushes with mauve and golden undertones. Choosing the best blush color depends on your skin tone, hair color, and even wardrobe preference. For example, people with sallow or yellow undertones to their skin may prefer to use a blush with a pink tint to it. Generally, the color pink counteracts yellows in the skin, making the skin less likely to take on a sallow appearance. A good indicator of which color to use is to match it with how the face appears after mild exercise. People who have winter complexions tend to have rosy or blue undertones to their skin. In addition, these people typically have dark hair and dark eye color. Skin tones for people with winter complexions range from very pale to sallow or yellow. Those with winter complexions may want to use a blush color with a pink or blue undertone to it. Conversely, orange-toned blush is not the best choice for these individuals. For someone with a summer complexion, a blush with mauve or golden undertones will enhance the complexion, where one heavily hued with pinks or blues may not be as attractive. The consistency of the blush can also influence how it looks on the skin. Powder blushes tend to fade more quickly than rouges, which are highly pigmented and more intense and vibrant. In addition, many cream, gel, or rouge blushes are water and oil resistant. Powder blushes sometimes do not stay true to their natural color. This can be caused by oils in the skin or from exposure to water. To keep blushes from changing colors on the face, people often use makeup primer, which is a lotion that readies the skin for foundation makeup and blush. The primer landscapes the complexion so that makeup does not seep into the pores or rub off easily. In addition, primers can usually be purchased anywhere blushes and other cosmetics are found. Age may also play a role in choosing a color of blush. People who are older or more mature, may prefer a blush that is red and bright. Young people, on the other hand, might choose a blush that is lighter in texture and not so red. For these individuals, a facial bronzer might be a good substitute for blush or rouge because is provides a warm sun-kissed glow rather than providing a shock of intense color. What is the Difference Between Cream Blush and Powder Blush? What is a Blush Brush? I want to send a huge thank you to whoever put out this article. I am almost thirty and I think I just realized what "season" I am. I think I am a winter, because I have fairly pale skin with brown eyes and brown hair. I don't really wear make-up much, but in case I ever decide to, it is good to know what colors of blush best suit me. I am going to try the pink and blue colors the next time I am at the store, and see if it truly brings out the best in my face. , but the part of the article that I find most interesting is that you can also choose a good blush color by what color your cheeks turn after mild exercise. I would have to go for bright red if that is the case, because even if I only exercise for a few minutes, may whole face turns bright red! I get tired of wearing the same shade of blush all the time, so like to mix and match and wear different colors. Many times I find myself blending two colors together to get the shade I want for that day. By doing this, I probably never have on the same color of blush from day to day. One thing I have found is that the powder blush seems to wear off pretty fast. I enjoy working with powder better, but if I plan on going out in the evening, I know I will have to reapply it. the small blush brushes that come with the powder blushes, but like to use a bigger blush brush that gives you a better application. There have been times when I forgot to pack a blush brush when I was traveling, and will use a cotton ball to apply my blush if I am in a pinch. Choosing a blush color is one thing that stays pretty constant with me. Unlike wearing eye shadow, I always wear the same shade of blush. I like to change the color of my eyeshadow depending on what I am wearing. Blush is different, as I always wear the same color because of the tone of my skin and what looks best on me. At one time I would wear a blush that had some coral tones if I was wearing something that had neutral tones to it. Then if I was wearing something like a pink pastel, I would apply a rose colored blush. This really didn't look very good on me, as the coral tones really made my face look drained. Because of my skin tone and dark hair color, I look best if I wear a rose colored blush all the time. @seag47-- I know what you mean! I'm sort of the opposite, I have olive-tan skin and if I pick a light blush color- especially light pink- it doesn't show up on my skin at all. That's why I have to go for darker mauve and brown tones. I think women with lighter skin color need to pick the lighter shades of blush, and women with medium to dark skin color like me, need to go for the darker shades. I think two shades darker than your skin is best. I have a friend with a deep golden tan. She uses a bronze cream blush that has just a touch of mauve to it, and it accentuates her glow. She also puts primer on her face before applying the rest of her makeup. It makes the foundation and powder last so much longer, and here in our hot and humid climate, it is a must. She looks like a professional makeup artist has done her makeup every time. I think that the cream blush works best for her tan skin, because a powder would likely fade into the background. That subtle hint of mauve in her blush is just enough to inject liveliness into her face, while the shimmery bronze shade makes her look like a mermaid in the sun. 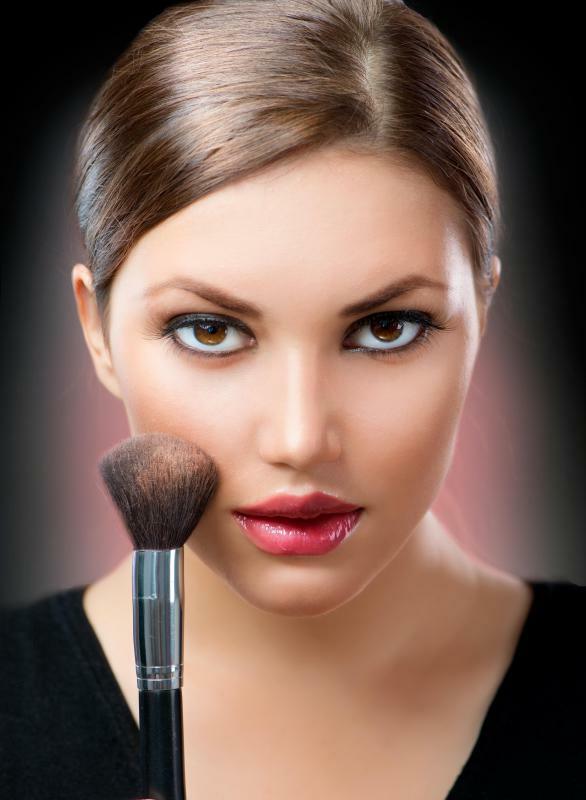 If you have a light complexion, any type of blush other than powder can be overpowering. My skin tone is fair, and I usually wear the second lightest shade of foundation available, so I always get a light powder blush to go on top of it. I have tried cream blushes before, but they are just too intense for my face. I have also tried using a primer before applying the blush, and this seems like a bit much as well. I think that the light coral powder blush that I wear is the best option for my skin type. It gives me a naturally flushed look, and it complements my skin tone. @Oceana - Using the wrong shade can really ruin a makeup job. I have a friend with extremely pale skin who thought that a golden brown color looked good on her, but she was so wrong. It totally threw off the look of her entire face. Her blue eyes, black hair, and ultra white complexion needed to be enhanced by a light pink blush. The brown color made her cheeks looked like they had been singed by some hot object. I didn't want to tell her that her makeup looked bad, so I slyly talked her into going to get a makeover with me. The makeup artist had no problem telling her what she was doing wrong, and she even managed to sell my friend a subtle pink powder blush. It has made all the difference in her appearance. I stayed away from blush for years, because I didn't know how to apply it properly. When I swept a pink color that my sister had onto my cheeks, I always ended up looking like one of those porcelain dolls with the strategically placed pink circles above her cheekbones. Years later, I read an article in a magazine about the proper way to apply blush. I learned that I needed to sweep it at an angle following my cheekbones instead of swirling it in circles. I also learned that pink was the wrong color for me. I bought a more golden shade of blush. It looked so much more natural on my face than the pink had. Now that I have discovered the correct way to use it, I never go without it. @Mae82 - For myself I find that using mineral blush, or the regular kind is really a matter of taste. I like using mineral blush because it lets my skin breathe and doesn't clog my pores up. Another good thing about mineral blush is that it can actually help heal your skin. Something about the minerals really seems to smooth your skin texture out. I am currently using a gorgeous coral mineral blush I found and it feels very light on my skin. It also has the added bonus of having a SPF rating so I can protect my skin from the sun. Is there any difference between the regular blush colors and the mineral blush colors? Right now I am in the process of restocking my makeup collection, as I am sure there are more than a few of the items in it are expired. I have really sensitive skin and I am prone to breakouts so I need makeup that won't clog my pores and that is free of harsh chemicals. Up until now I have been using a brand of blush that is advertised as being hypoallergenic, which is great, but I find that I just can't get the right color in that particular brand. @Bhutan -Years ago I used to be an Account Coordinator for a major cosmetic line and I will tell you that if you are not sure what blush color looks best, you should consider getting a makeover done at the counter. They are complimentary. This is probably the single best way to see what colors really work for you. A lot of women would come in and get the same colors all of the time and these colors were not necessarily the most flattering.
. Any one at most of these cosmetic counters should be able to show you what color families work best for you and how to accurately apply the blush in the first place. Some women were surprised that they were able to wear richer shades of blush. I like to wear brown tones for my blush shades. I will usually use a bronzing color or a deep wine color to add more definition to by cheeks. I really like crème based blush because it tends to stay on a lot longer and goes on more evenly that powdered blush. I try to stay away from the bright coral shades because they are not very flattering on me. They make me look all washed out which is not what I want when I put on makeup. I also think that if you exfoliate your skin with a scrub a few times a week and add moisturizer your blush application will be easier because your skin will be smoother.